Did you miss out on getting a pre-ordered yearbook. Here is your chance to get one. We have 33 books left, it is first come first serve. They are selling fast, get yours now. What is left will be sold on Field Day. Be a part of PTO next year! PTO meeting Tuesday, April 16th. Elections will be held. Don't miss out! 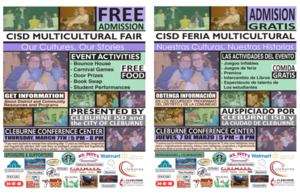 CISD's 4th Annual Multicultural Fair will be March 7th! There will be lots of vendors, performances, and more! Next Thursday, don't miss out! Need A New Book to Read???? Book SWAP! Need a new book to read? Book Swap can help with that. 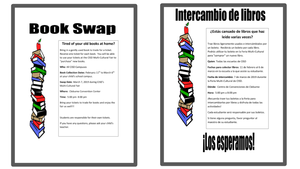 Join Irving to reach their goal of collecting 300 books for this year's Book Swap at the Multicultural Fair, March 7th. Trade in your books for bucks to use at the fair. We want to collect at least 300 books this year. Help us out, send in those old books. Night at the Museum will be held Monday, February 25th, 5:30 to 7:00. Mark your calendars and come join us as we walk through a gallery of history and art. Yearbooks will be on sale at the door, and the book fair will be open. 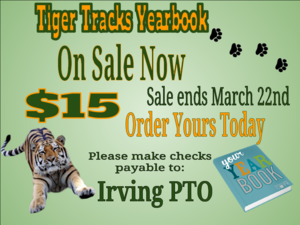 Tiger Track Yearbooks On Sale Today! Don't forget to buy your yearbook now! Sale ends March 22nd. 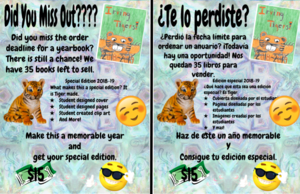 This year our students are building and publishing the yearbook, get this special edition! Calling all bikers. Mark your calendars for a nice scenic ride to Cranfills Gap with the bikers of Irving Elementary. We are revving our engines cause spring is coming. Mark your calendars and ride down with us. See below for details. 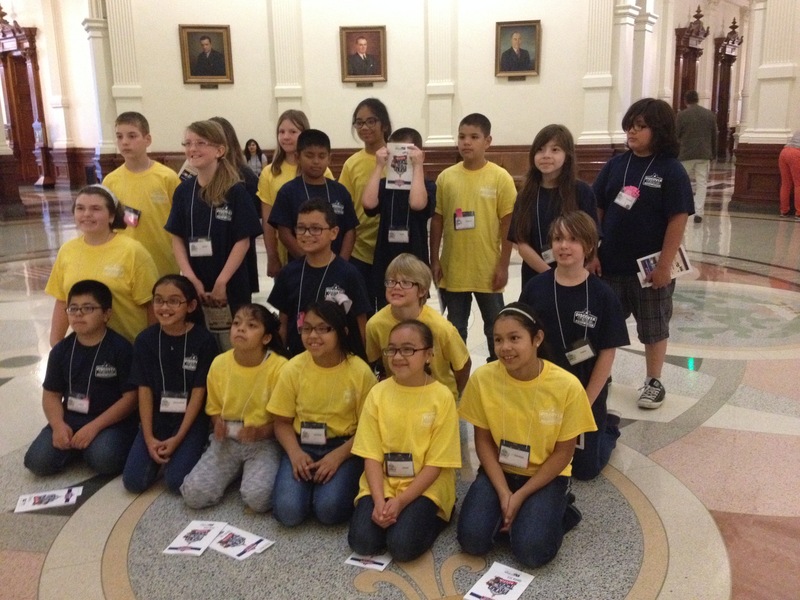 Please check out what CISD are doing with our EL students. Many great things are taking place. In the event that weather conditions are severe enough to delay or prevent the opening of schools, announcements will be released from CISD administration through the Skyward Family Access and School Reach notification systems, posted on the CISD website homepage and on District social media. DFW media outlets will also be notified. Decisions regarding delayed starts/closings are made no later than 6 a.m. on the day in question.